Moscow Commercial Court extends sale of ex-banker assets for 6 months | Russian Legal Information Agency (RAPSI). 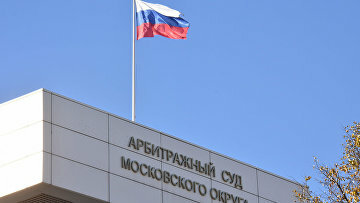 MOSCOW, March 1 (RAPSI) – The Moscow Commercial Court has extended the sales of property owned by ex-head of a banking group Anatoly Motylev for six months, the court’s documents read on Friday. In May 2018, the Ninth Commercial Court of Appeals upheld a decision declaring Motylev bankrupt and launching a procedure governing the sale of his property. At that time, the businessman challenged the decision of the Moscow Commercial Court of February 19. According to the documents presented by Motylev’s bankruptcy supervisor, ex-banker’s debt made in total 23.4 billion rubles (about $356 million). In May 2018, banks and a range of organizations filed claims to include nearly 42 billion rubles (about $639 million at the current exchange rate) in the creditors’ demands list against former head of the banking group Motylev. The Russian Credit bank alone demanded 33.3 billion rubles ($500 million). Motylev, who currently lives abroad, is a former owner of several Russian banks including Russian Credit, M Bank, AMB B and Tulsky Industrialist. In July 2015, the Central Bank of Russia revoked licenses of the financial organizations. In May 2016, Moscow’s Basmanny District Court seized the businessman’s property including several apartments and land plots in the Moscow Region.